Our skin has snap to it, tone, due to two proteins; collagen and elastin, which are important for Structure and elasticity, respectively. As we age, proteins break down. There is a loss of the amount of collagen and elastin in the skin, most noticeable on our faces. This leads to wrinkles. Acne and other processes cause scarring. All of these conditions can benefit from the regeneration of collagen and elastin. Facial rejuvenation lasers – our Picosure and our IPL with 1540 wavelength- cause microdamage beneath the surface of the skin. Tiny vacuoles, or empty bubbles. (Think Aero chocolate bar). The scientific name for these vacuoles is LIOB, or laser induced optical breakdown. Our bodies heal this microdamage by repairing with new collagen and elastin. This brings back the “snap” to the skin. Also, any pigment migrates into the vacuole where it slowly migrates to the surface. For some skin types, the Picosure is better, for some, the IPL. Many dermatologists advise alternating to get the best of both worlds. During your free consult, your advisor will suggest which protocol will be best for you. 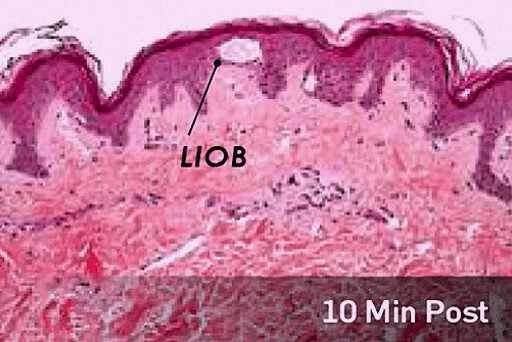 The benefit of working beneath the skin is to minimize the downtime that certain more destructive lasers cause by taking off the surface. Our lasers cause minimal surface redness that typically only lasts a day or two at most. You can come in for a treatment on your lunch hour and go back to work in the afternoon!